IDrive® Wi-Fi and IDrive® Cloud. Online backup is secure, affordable and highly reliable. But under circumstances when you immediately need your critical files, bringing back data from the cloud is not always the fastest route. IDrive offers IDrive Wi-Fi - a storage device that combines the security of cloud backup and the convenience of local connectivity. 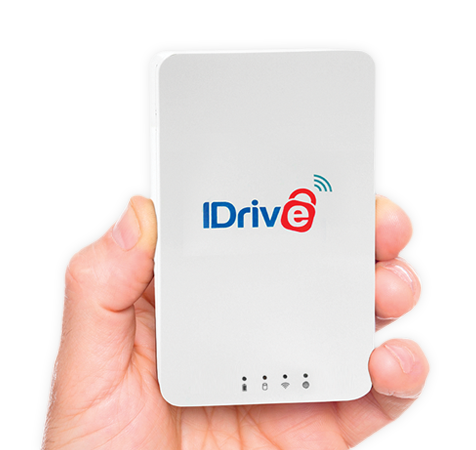 IDrive Wi-Fi device makes your Hybrid backup easier. Free account holders get a complimentary upgrade to 1 TB IDrive Personal plan, and paid account holders will get a discount of $10. Conveniently backup all of your computers to the IDrive Wi-Fi device via IDrive's desktop application. The wireless connectivity of IDrive Wi-Fi device enables you to backup multiple devices at once. You can directly backup your mobile devices to IDrive Wi-Fi, using the IDrive mobile app. IDrive Wi-Fi lets you securely store your photos, videos, music and more from various devices, without the fear of losing it. Data uploaded to IDrive Wi-Fi, using the IDrive apps, is guarded with military grade security. 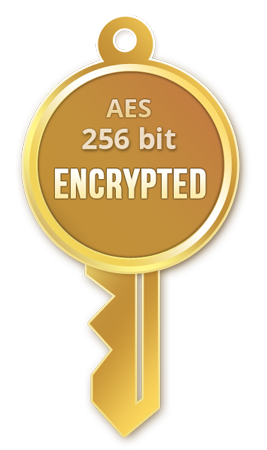 Your data is protected with 256-bit AES encryption with an optional private encryption key, known only to you. So the only person who can access your data is you, even if your data falls into the wrong hands.